UC Berkeley fundraisers are working hard. So where is the state? 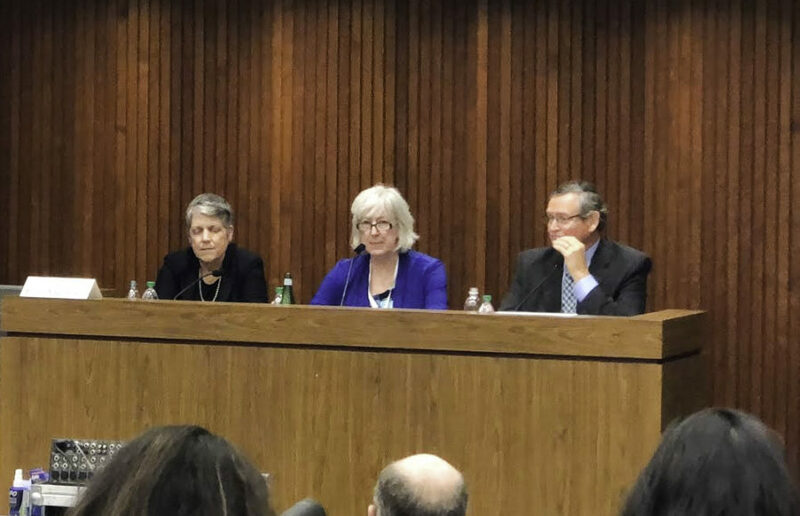 UC President Janet Napolitano and CSU Chancellor Timothy White convened at the University of Southern California, or USC, Gould School of Law Thursday to discuss the future of public higher education. Moderated by an editor for The Chronicle of Higher Education, the discussion covered public perception and mistrust of the UC and CSU systems, underrepresented student populations and state funding. The event took place during this year’s three-day Education Writers Association, or EWA, seminar for journalists. 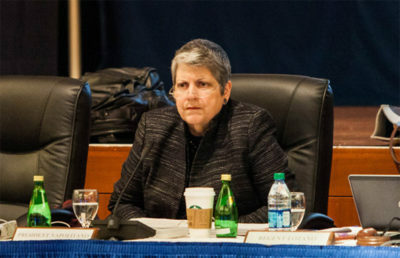 Napolitano and White were asked about their thoughts on the state funding amount allocated to public higher education. While Napolitano said the “financial stresses on the (UC) system are real,” White said California has the “capacity to fund” students pursuing higher education. White noted a “tremendous need” for all degrees — bachelor’s, master’s, doctoral and professional — citing a report from the Public Policy Institute of California. Additionally, he stated that Californians in general have underfunded higher education “for too long;” once they “dig deeper” into the CSU and UC systems, however, they see its “enormous value,” according to White. 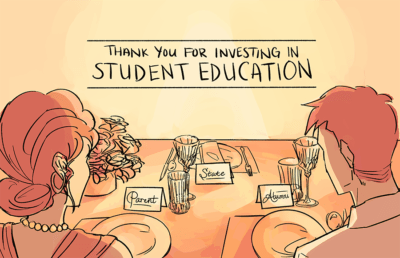 Both speakers also emphasized increasing resources for the first-generation students who attend schools in both systems. 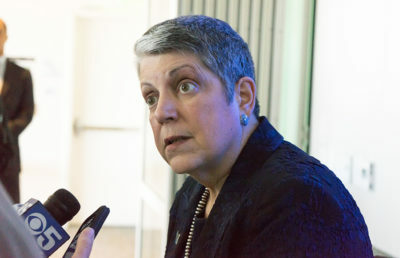 Napolitano stated that 42 percent of all of UC’s undergraduates are the first to go to college in their families. She added that the UC needs to provide support for these students so that they graduate at the same rate as if they were second-, third- or fourth-generation students.